More Than Roofing provides the best Pass Christian MS roofing repair and new roof installation services available for Pass Christian, Mississippi. Did you know that there are more one million dollar homes per capita in Pass Christian than any other community in the State of Mississippi? Without a doubt, some of the finest homes in Harrison County are located in Pass Christian. Pass Christian has grown significantly since More Than Roofing was founded over 50 years ago. What started out as as a small, Harrison County based roofing company quickly blossomed into a full service roofing contractor thanks to our numerous recommendations from current and past customers. More Than Roofing has conducted roof installations and roof repair on many homes in Pass Christian during that period of time. In the past ten years in particular, we have received a great many roof repair requests because of storm damage from wind that have impacted roofs in the Pass Christian area. More Than Roofing is completely insured for both liability and workers compensation. Most importantly, More Than Roofing is completely committed to our customers. At the end of every project, we conduct a Customer Satisfaction Check-Up which provides More Than Roofing the ability to ensure that our customers are completely satisfied with our workmanship. We sincerely believe that roofing is both a craft as well as an art. Each and every one of our roof replacements and repairs are completed to the highest possible standards. Many roofing contractors are heavily focused on generating a profit by completing roofing projects as rapidly as possible. 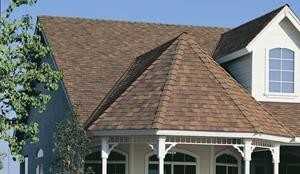 Here at More Than Roofing, our primary focus is integrity and a high level of craftsmanship. More Than Roofing never compromises the quality of a roof by the cutting of corners or the use of materials that are not the highest quality. Our roofing crew is not compensated by speed. Our roofing crew is compensated after the project has been completely inspected and designated as perfect. For the protection of all of our customers, More Than Roofing always strictly applies all materials according to the manufacturers standards. State of the art roofing products we work with include Owens – Corning and GAF plus many, many others. At More Than Roofing, our passion is to install high quality, superbly constructed, strong, and very beautiful roofs. Your leaking roof has been fixed by someone. However, why does water still drip down your walls? Over 60% of the roof repair work that More Than Roofing performs in Harrison County is generated when we fix the poor work that our competitors have previously provided to our customers. Do not make the frequent very expensive mistake when you hire a non-professional roofing contractor that is based solely upon price. A decision that is based solely on price can cost far more money and heart ache in the long run. Is your roof suffering from tree damage, storm damage, water leakage, or simply falling apart? Your residence is the largest investments you will make in your lifetime. Sound maintenance of your roof ensures that your residence will continue to remain in top condition. Contact More Than Roofing now. More Than Roofing specializes in many difficult, hard to repair roof systems that many other roofing contractors shy away from. In Harrison County, MS, More Than Roofing service areas include Gulfport, Biloxi, D’Iberville, DeLisle, Long Beach, Lyman, Pass Christian, and Saucier Mississippi. More Than Roofing also services the unincorporated communities within our primary Harrison County Roofing repair service area. Contact us now at (228) 265-7974. We’re here to serve you. How do you locate a great roofing contractor in the Harrison County Mississippi area? Locating a roofing contractor is simple, but finding the right roofer one may require a lot more than just checking the yellow pages. A well maintained roof will increase the value of your home As the result of an on going real estate market price slump for various ways to increase their property value. There are many different resourceful methods of achieving this objective, including both large scale strategies and a small scale approach. There are a lot of roofers operating in your area. Some better than others, and there are also some that you’ll want to steer clear of altogether. How is a property owner to choose, and where does home owner begin to locate a reliable, and highly skilled Harrison County roofing contractor?